Construction: Stainless Steel Slotted Weights are typically used with a hanger that also has its weight calibrated so it can be used as part of the overall weight. The interlocking design helps secure a stack of slotted weights onto a hanger. 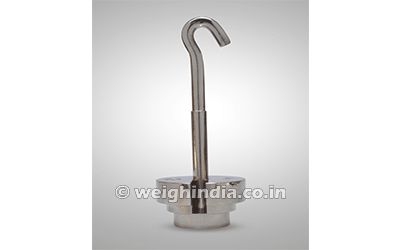 Hangers are available in a variety of lengths and weight capacities. Each weight has the nominal value stamped into the top side of the weight except E1 E2 class. 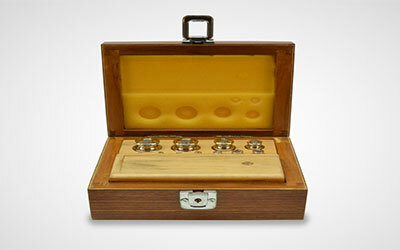 Several Stainless Steel Slotted Weights may be used together to build up from a minimum weight to a maximum test load. The hanger weight selected should be able to accommodate the total load needed. To determine which hanger will accommodate your weights, use the stem height of the hanger as the maximum height, then use the thickness dimension of each weight along with the quantity you intend to place on the hanger to determine the total height of your stack of weights. The height of your stack of weights should be less than the length of the hanger. 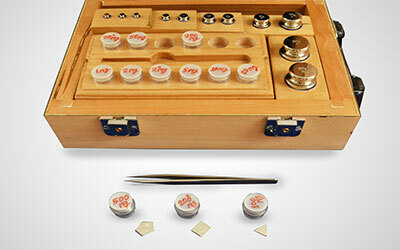 Slotted Weights above 10g have adjusting cavities. 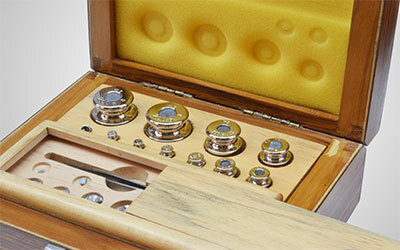 Weights below 10g are adjusted by polishing of weights to remove extra material. Hanger weight have adjusting capacity as well. 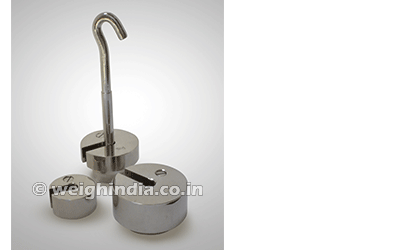 We can amend the design (Length) of hanger weight and slot dimension of slotted weights as per your requirements. 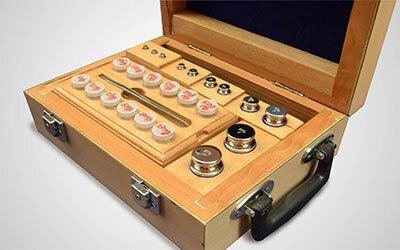 applications such as pressure, torque, and tensile strength testing. Suggested markets: Recommended applications for Stainless Steel Slotted Weights include, but are not limited to, torque calibrations and tensile strength testing.